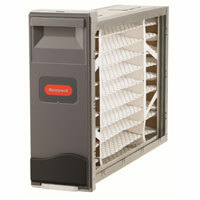 Replace Less Often - Lasts up to four times longer than a standard one-inch furnace filter. Replace every 6-12 months (versus monthly or quarterly changes). Widely Compatible - Works with all gas furnaces, heat pumps, and air conditioning systems. Bob’s Heating and Air, Inc. serves Alpharetta, Roswell, Marietta, Dunwoody, Sandy Springs, Smyrna, Woodstock, and the North Atlanta suburbs, GA. 404-606-0548. © 2013-2016 Bob's Heating and Air. All Rights Reserved.